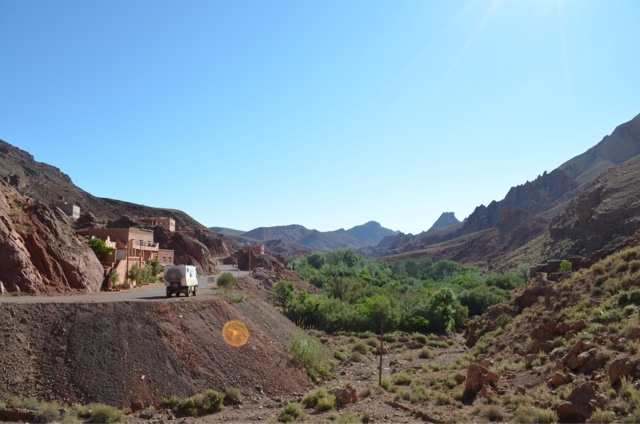 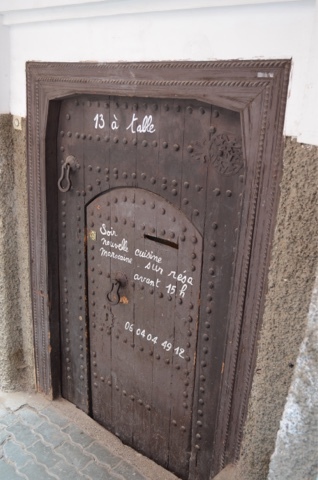 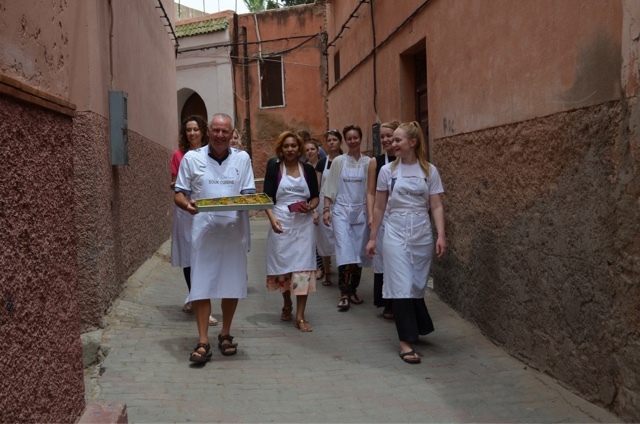 We were very well placed at Kotubia to make the 500 meter walk to the Cafe de France to meet up with Gemma who owns Souk Cuisine. 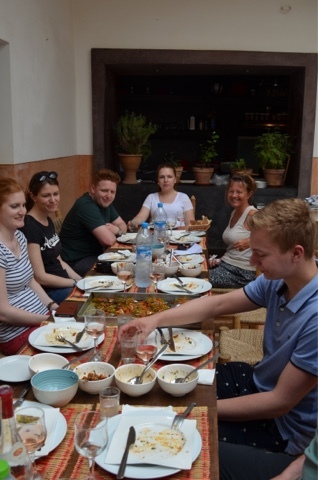 We met our group for the day, we were four English, two German and Seven Dutch. 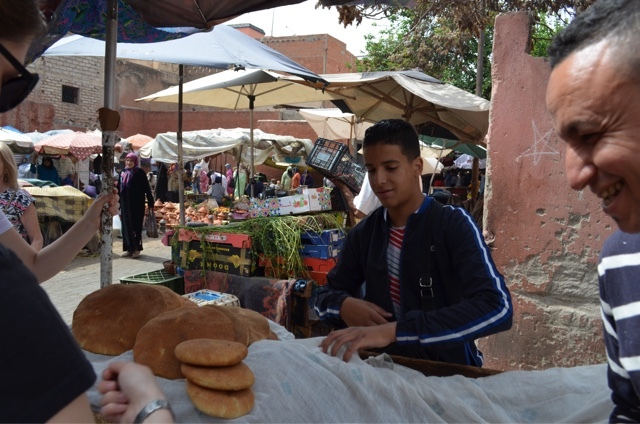 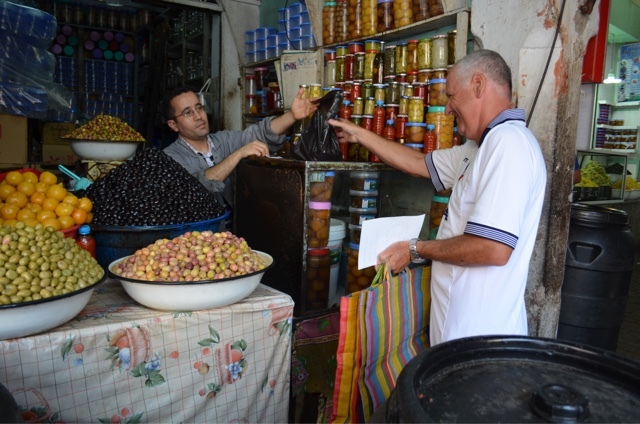 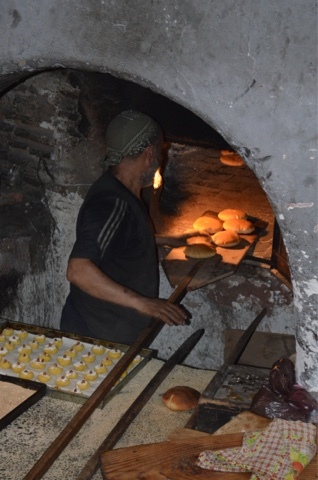 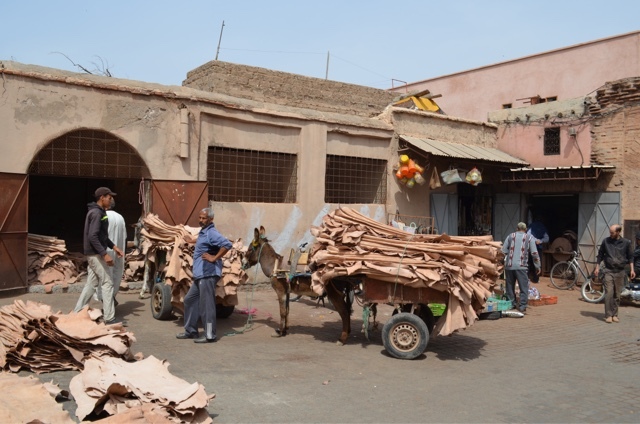 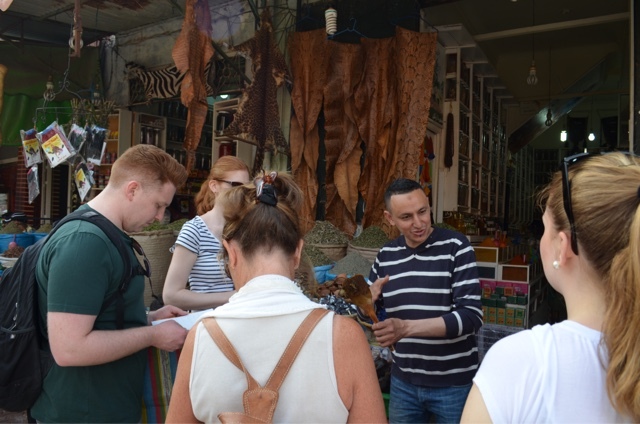 First job was a trip around the souk to buy the ingredients, we were each given a bag, a purse and a list. 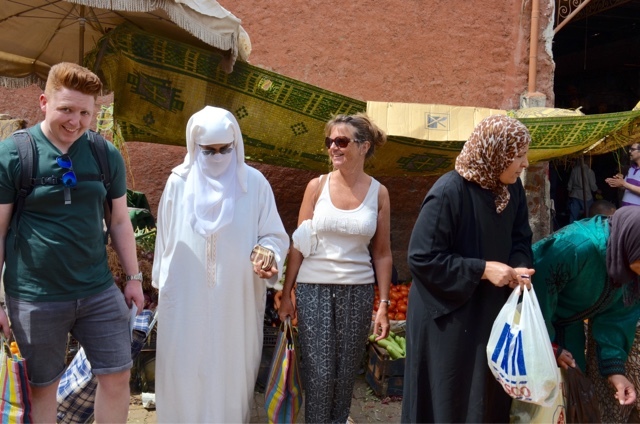 She blends right in with the local women. 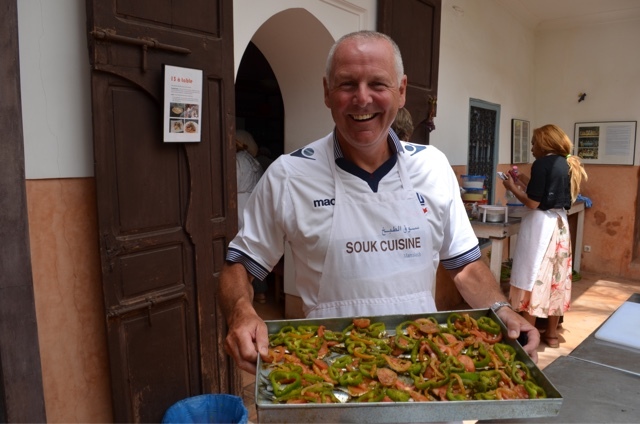 Yes that is a Tesco bag and no there are no Tesco stores in Morocco they do however recycle and reuse everything. 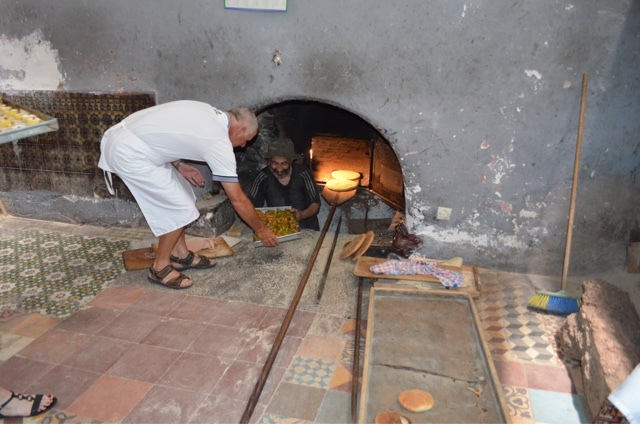 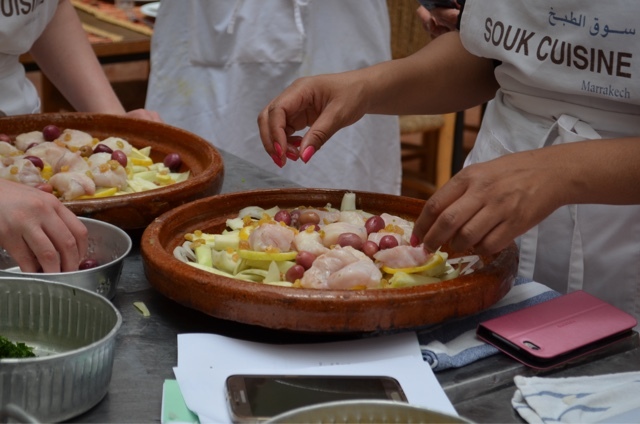 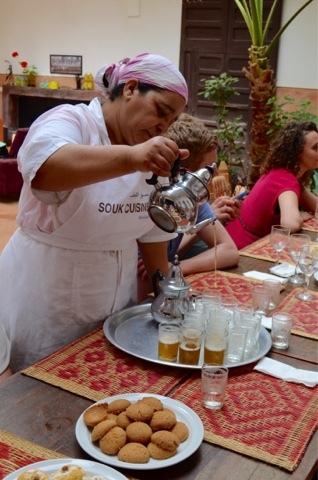 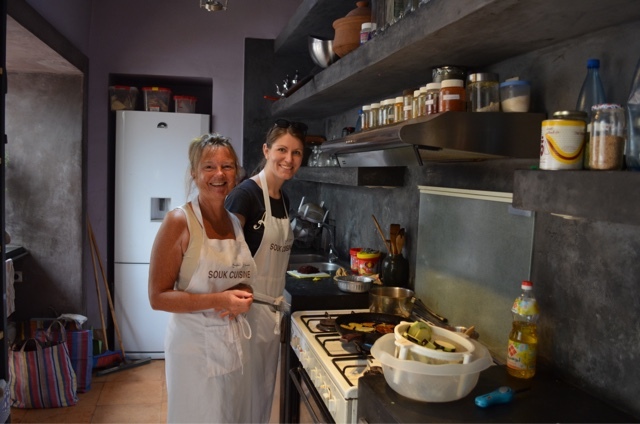 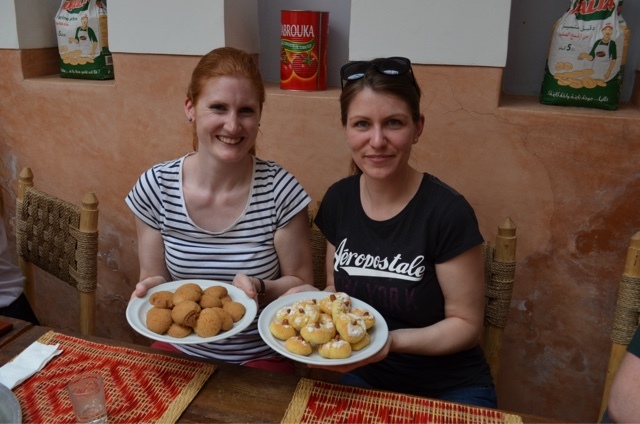 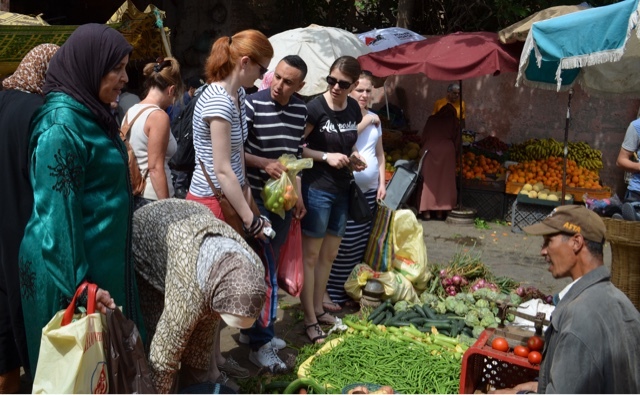 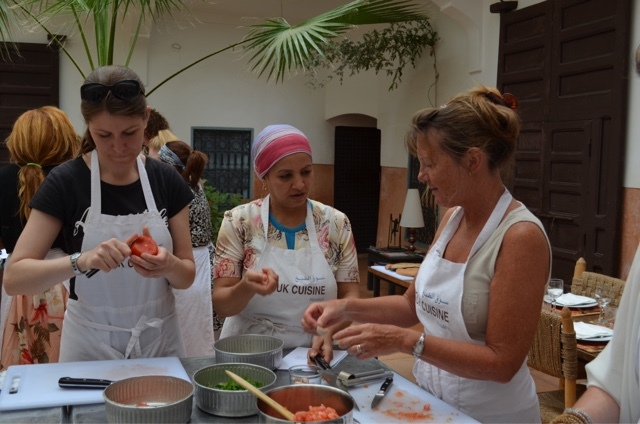 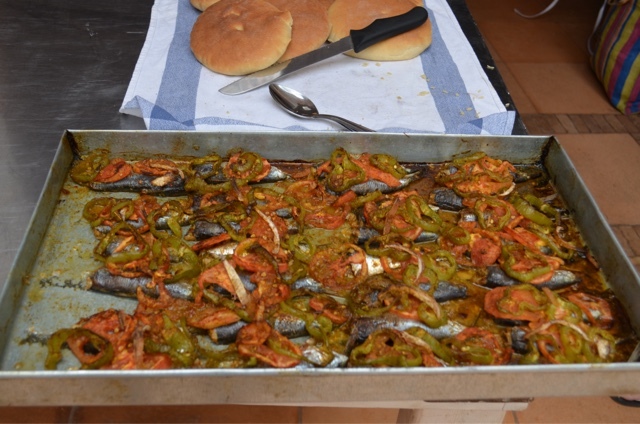 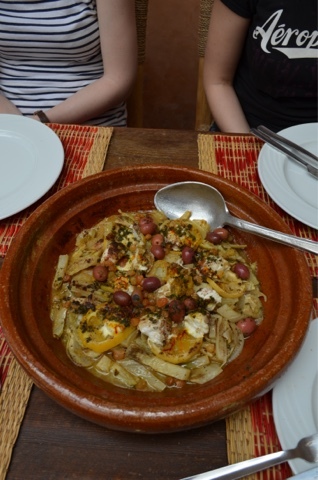 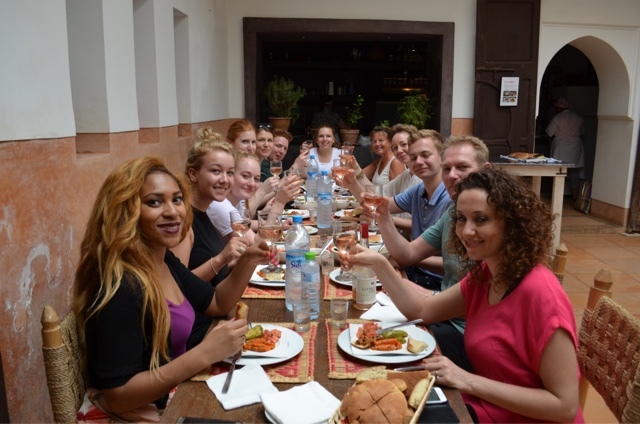 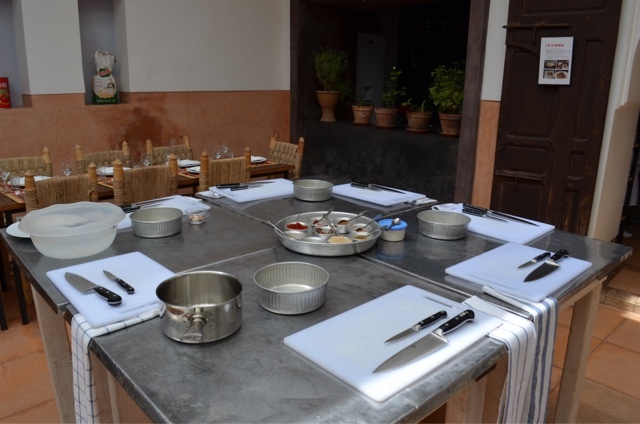 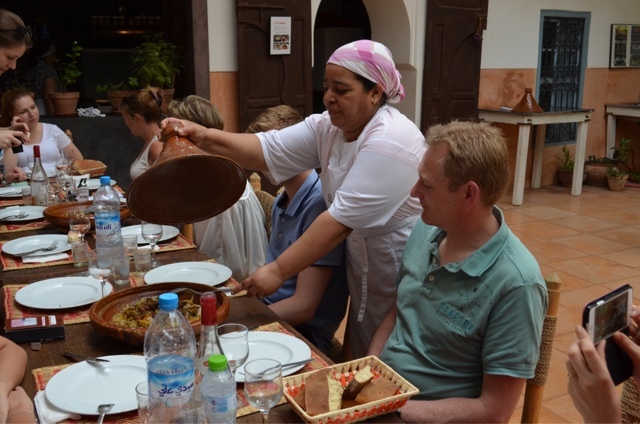 We soon got started and our local Moroccan women were experts at cooking and sign language. 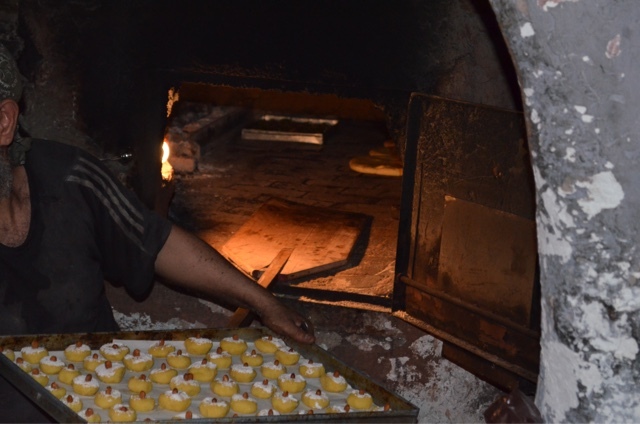 I wouldn't like this guys job, it was red hot just handing him the tray. 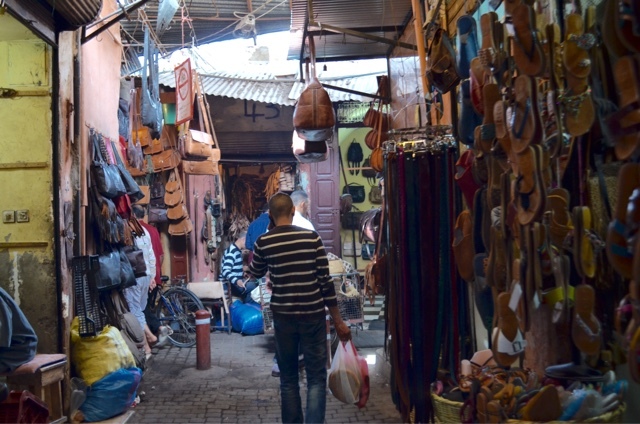 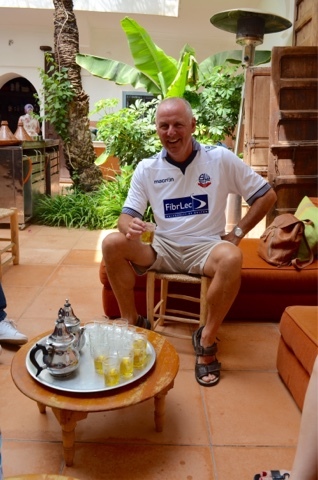 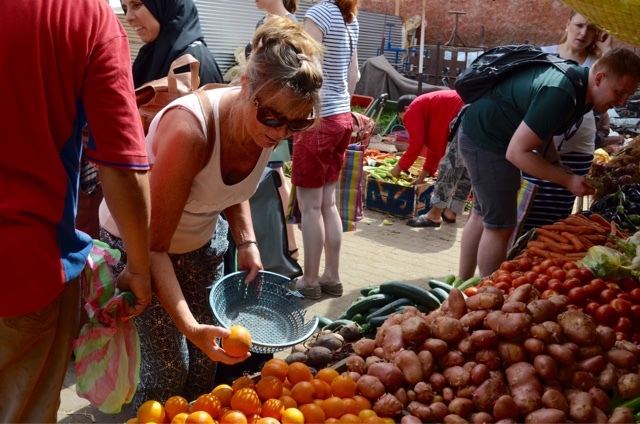 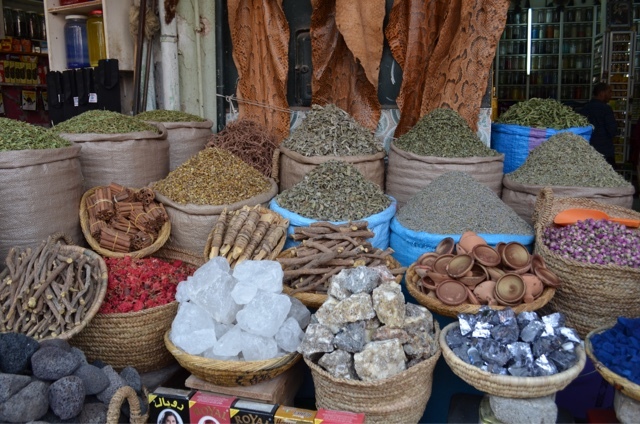 All in all a top way to spend the day in Marrakech.